The Central Bank (BDL) will subsidize the interest rates of housing loans that Banque de l'Habitat (The Housing Bank) provides. The subsidy will continue until the end of 2018, according to a new BDL circular. Joseph Sassine, Chairman of Banque de l’Habitat, said that the bank is using its own resources because long-term lending is not currently available on the local market. “The bank could have invested these resources at high returns on the market instead of using them for lending at low interest rates,” he said. The Housing Bank provides loans at an interest rate of 3.75 percent. Sassine said that they tried to borrow locally, but to no avail. The Housing Bank therefore is seeking loans from the Arab Fund for Economic and Social Development (Arab Fund), and from the European Bank for Reconstruction and Development (EBRD). “We are in talks with the Arab Fund for a soft loan and we are awaiting the formation of the new Cabinet to get the green light,” Sassine said. Banque de l’Habitat obtained a soft loan worth $120 million from the fund in 2017. It also secured an Arab Fund loan in the mid-nineties. The Housing Bank has also embarked on serious talks with the EBRD as interest rates in Europe are now favorable for borrowing, Sassine said. “The EBRD usually provides loans for environmentally-friendly projects, but we have convinced them to grant us housing loans for low-income people,” he said. Banque de l’Habitat and commercial banks used to provide subsidized housing loans from credit facilities granted by BDL at one percent interest rates. The Central Bank decided with the stimulus package of 2018 to subsidize only the interest rates without providing the credit facilities, inducing banks to use their own resources to grant the loans. The interest subsidy quotas for 2018 were quickly used up, and banks stopped providing new subsidized housing loans. 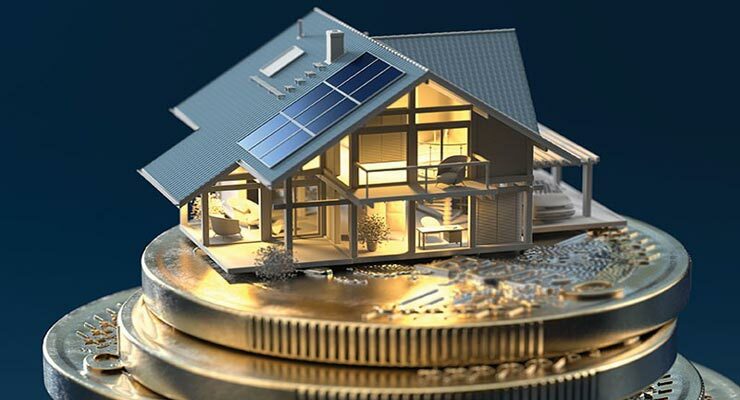 The Ministry of Finance said in March that it will subsidize interest rates on new loans provided by the Public Corporation for Housing worth up to LL1000 billion ($663 million). The implementation of the new decision requires new legislation. Joseph Torbey, Chairman of the Association of Banks said earlier this month that the State will resume interest-subsidies for housing loans. BDL also plans to announce its subsidy packages early next year.